I prefer to do a non-candy Valentine's card for my children's classrooms. When I saw this idea on Pinterest from Dandee Designs I knew I had to do it. Logan and Zane love magnifying glasses, such a simple thing can keep them occupied for hours. I purchased magnifying glasses from Oriental Trading Company, it ended up being cheaper than purchasing candy. 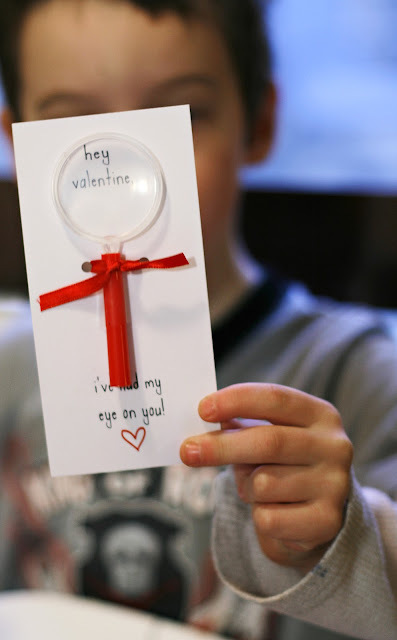 Click here to go to Dandee to download the free printable card. Do you have a summer birthday party to plan? 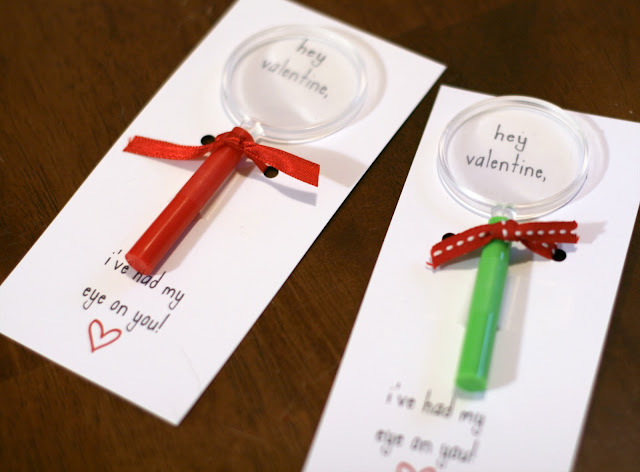 Have magnifying glasses as the take away gift in lieu of candy or other party trinkets. Encourage children to explore the world around them. What a great idea Gretchen. I love the note that goes with the card.